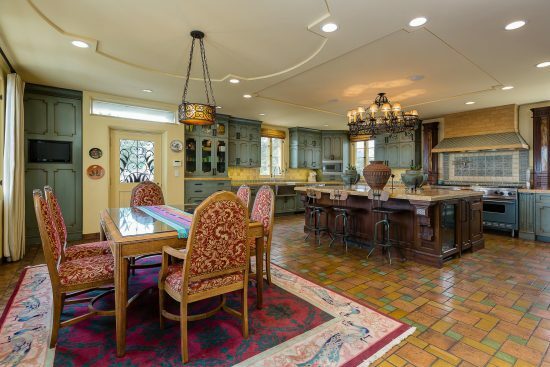 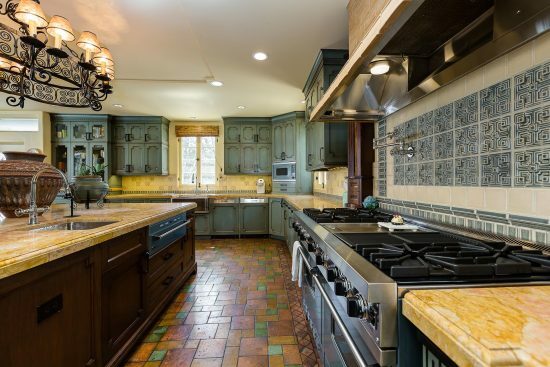 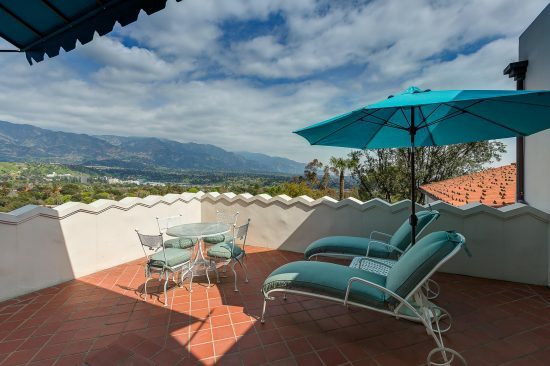 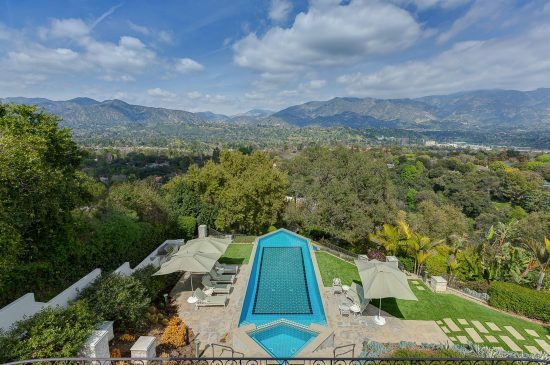 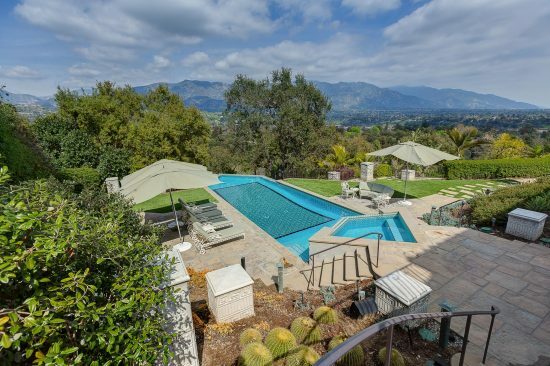 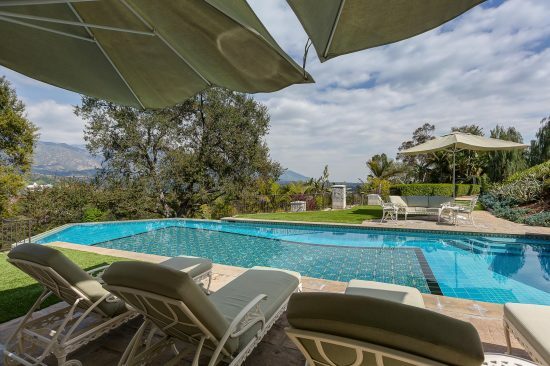 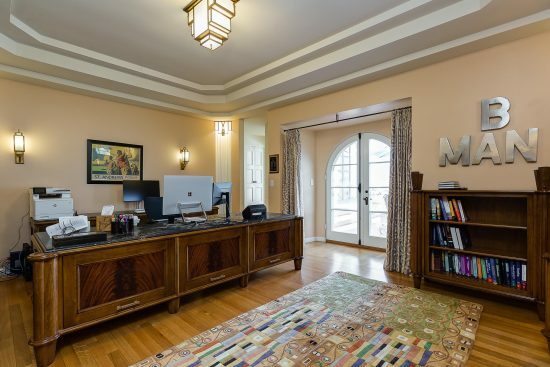 This “Once in a Lifetime” Flintridge Estate has every amenity possible! 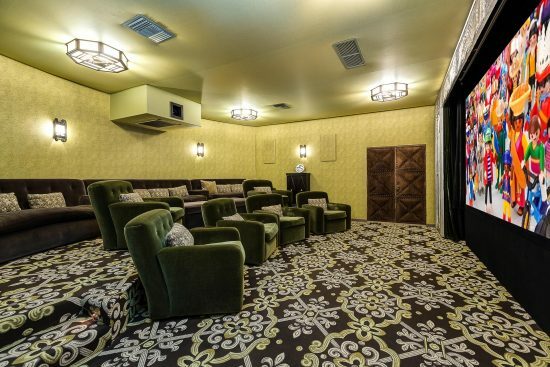 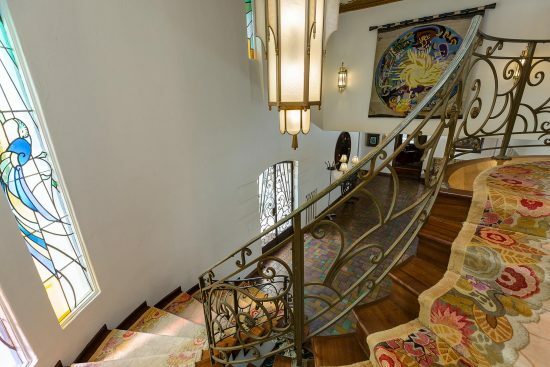 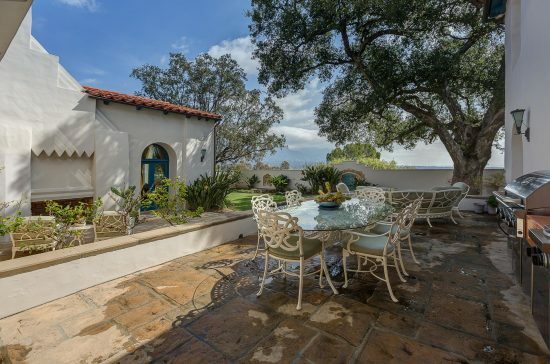 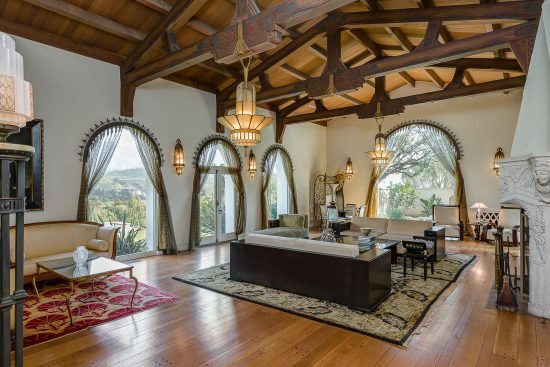 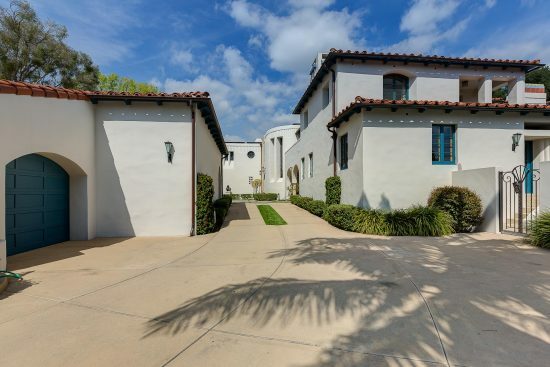 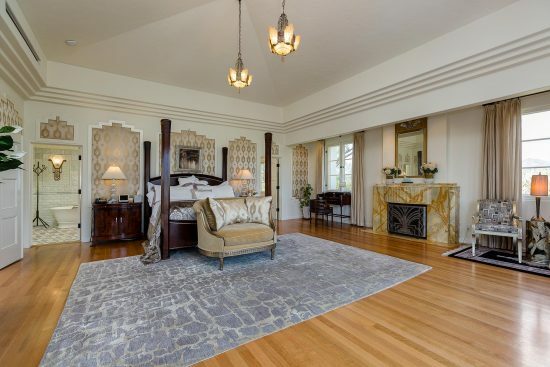 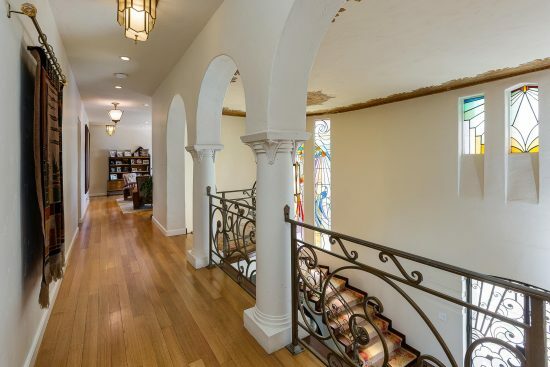 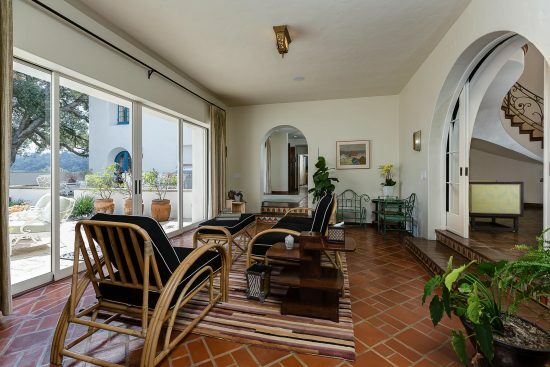 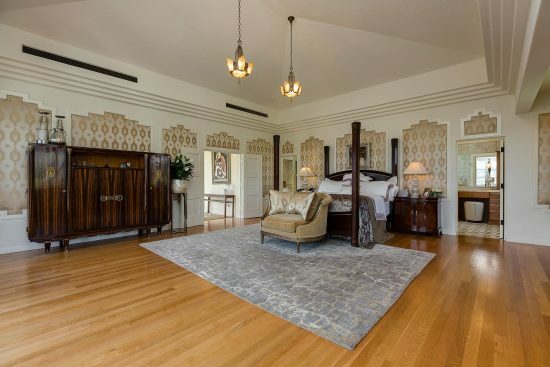 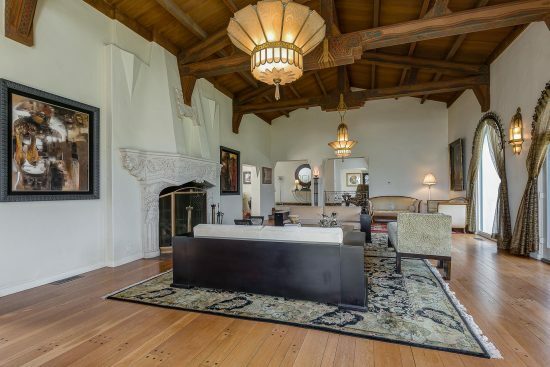 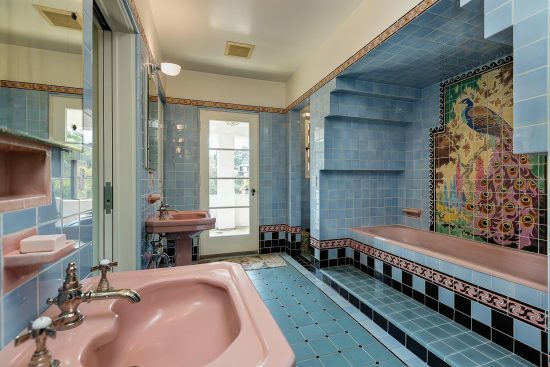 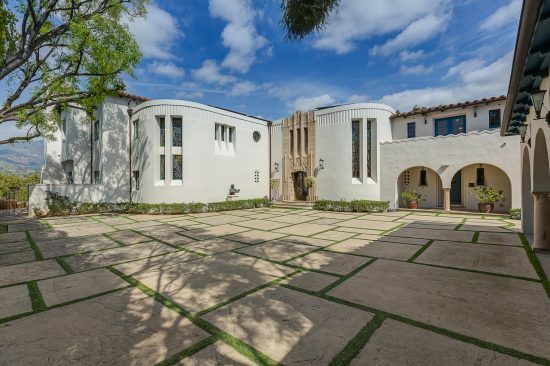 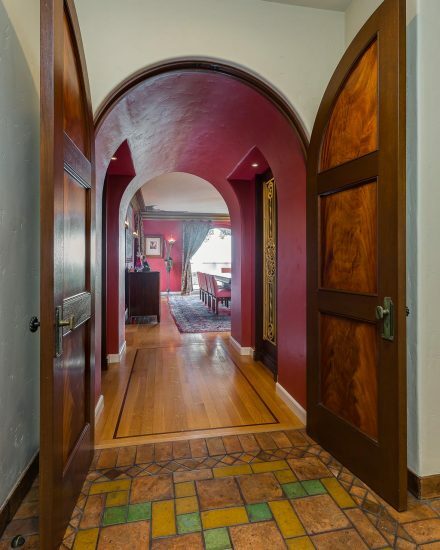 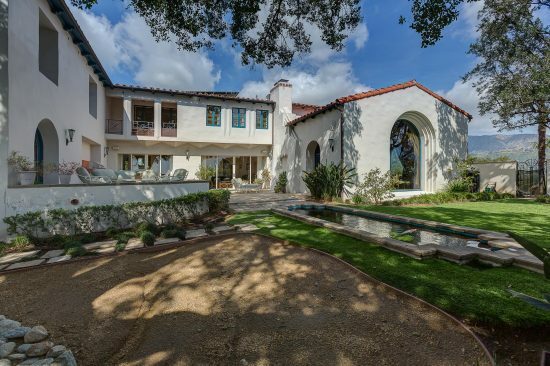 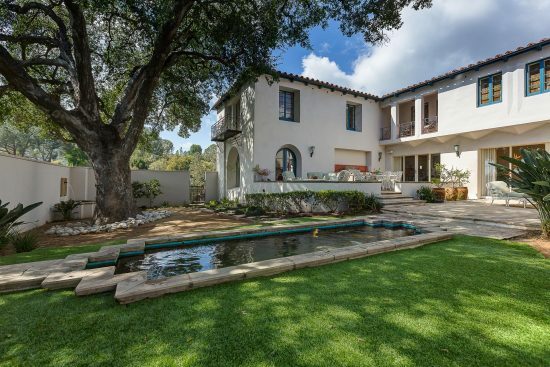 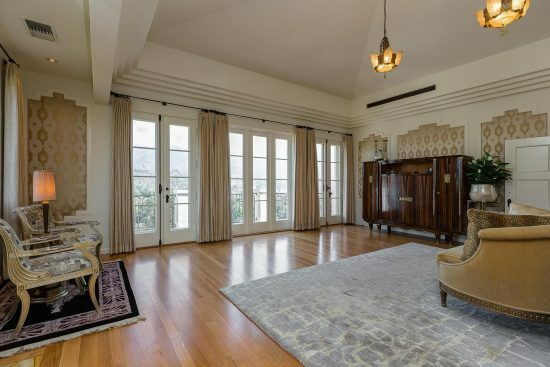 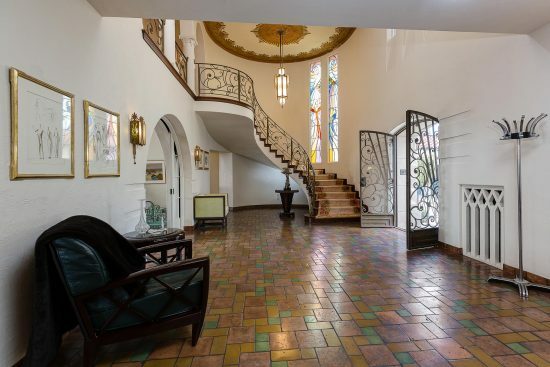 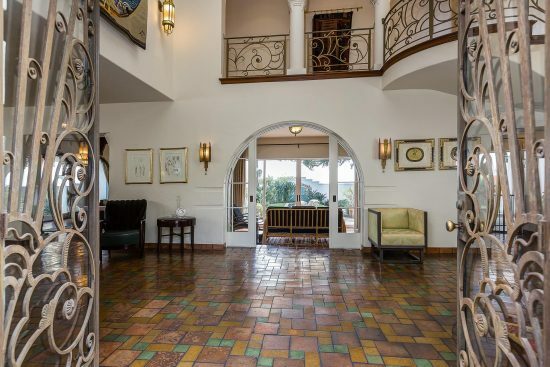 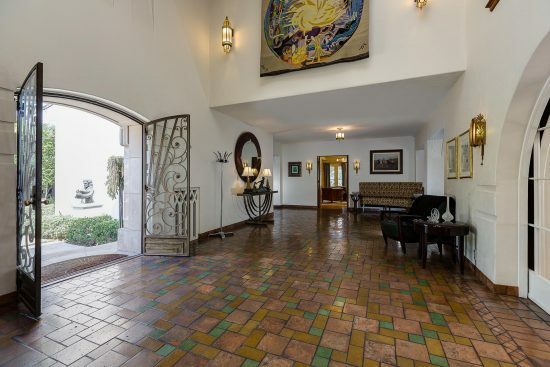 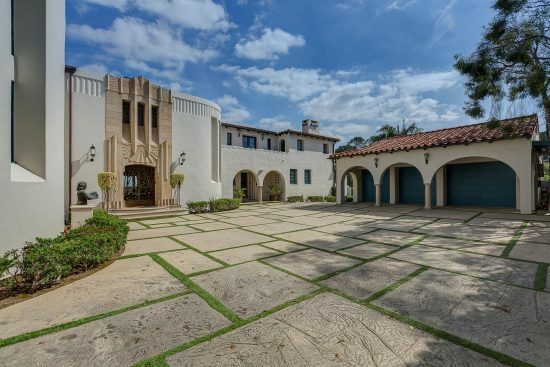 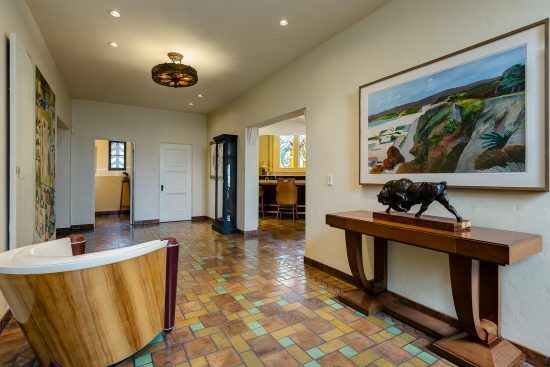 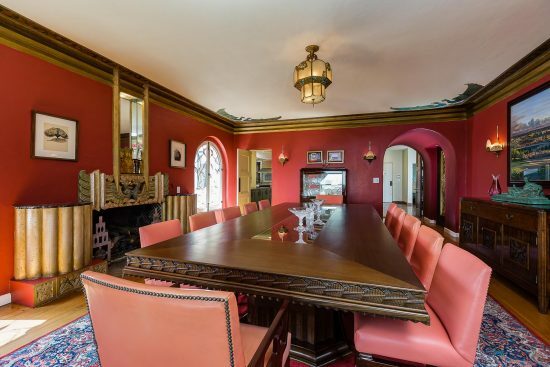 This magnificent home is a unique blend of Spanish Colonial Revival and Art Deco architecture. 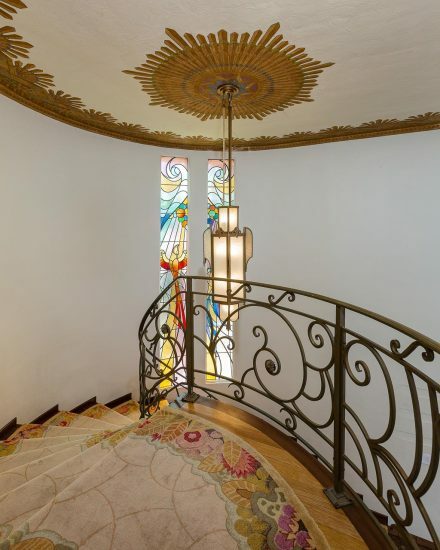 The design, appears to be a collaborative design by L.G. 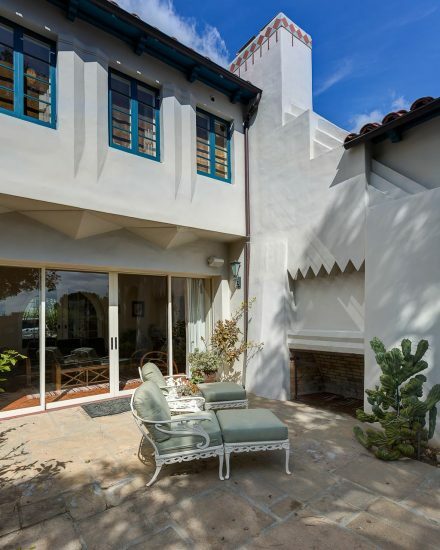 Sherer, the principal of the building firm, and Pasadena architect, Cyril Bennett, built by L.G. 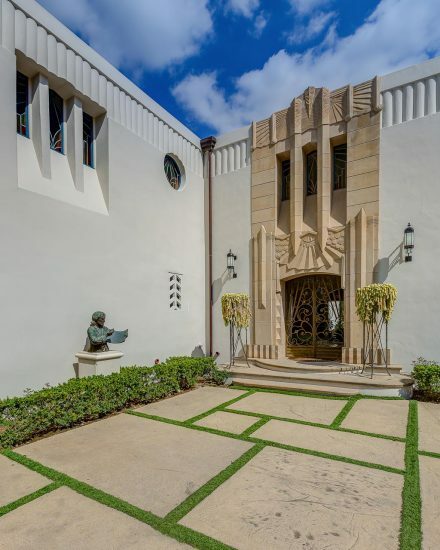 Sherer, and completed in 1929. 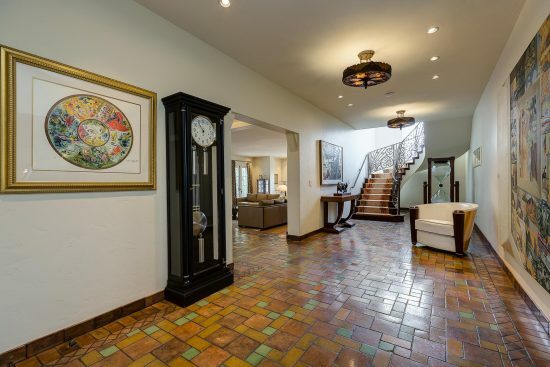 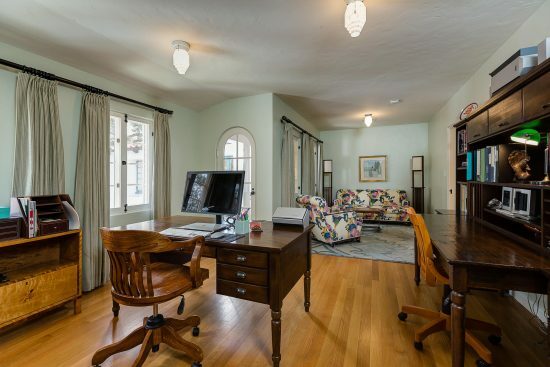 The home now boasts over 13,000 square feet, and has been meticulously redesigned and remodeled extensively by both the previous owner and current owners. 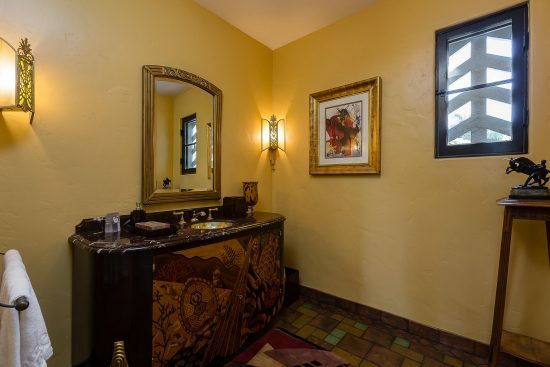 There are two parcels totaling approximately 1.18 acres of land. 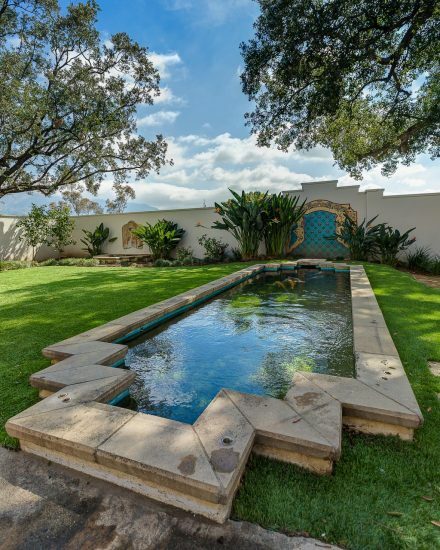 You are welcomed by a beautiful tiled aqueduct and graceful waterfall as you make your way up to the residence via a long sweeping driveway, flanked with lush flowering landscaping. 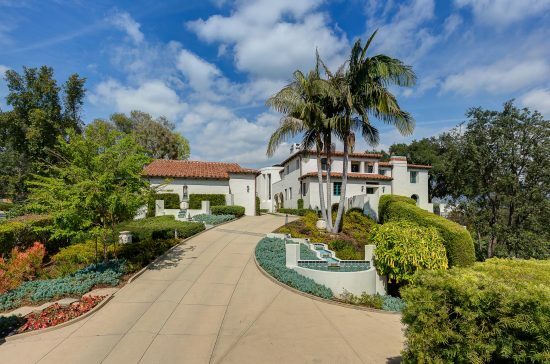 A large motor court of large block pavers with turf between is pleasing to the eye and creates ample space to park numerous cars. 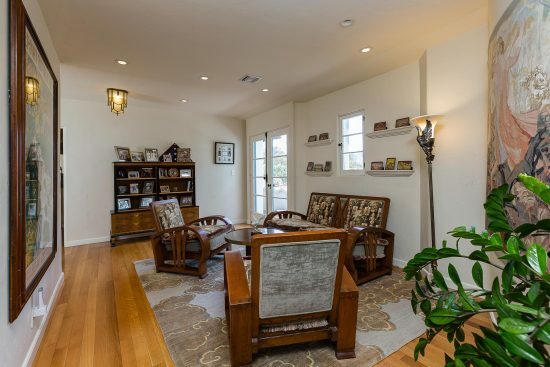 Convenient to the front of the home is the four-car detached garage. 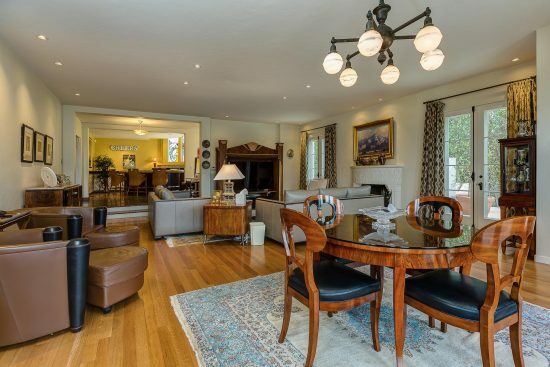 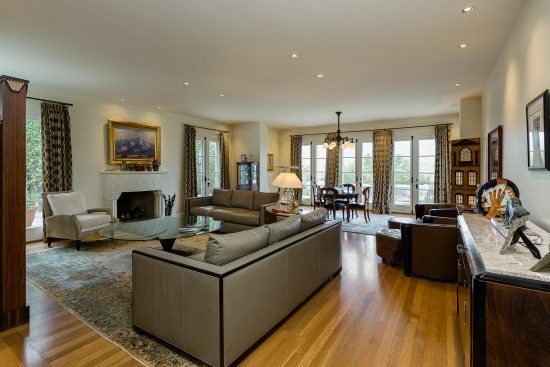 This spectacular home is ready for the most discriminating purchaser looking for a property designed for entertaining! 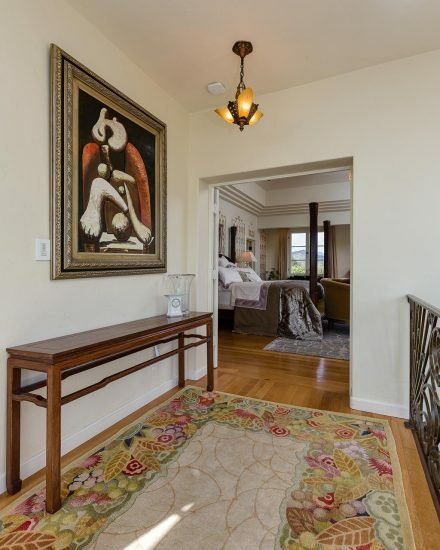 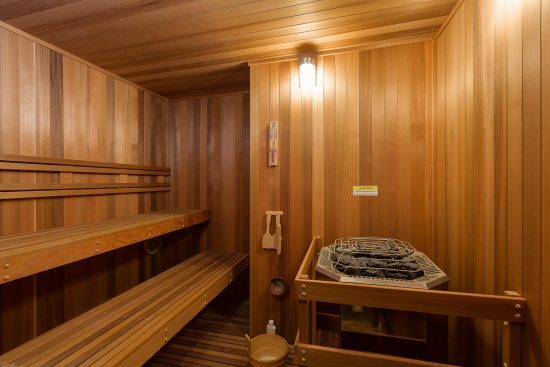 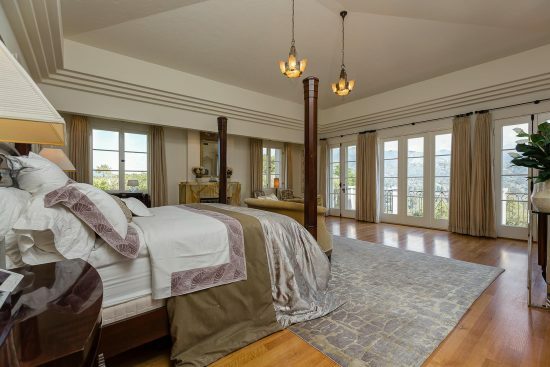 Between 1999 and 2003, a total renovation and expansion was done, including an approximately 5,000 square foot addition, comprised of the master bedroom, family room, pub, theatre, gym, sauna, bath and lanai. 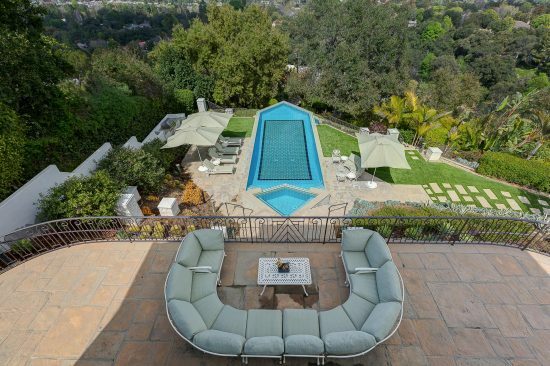 The current owners, from 2006 through to the present, have taken the property to yet another level! 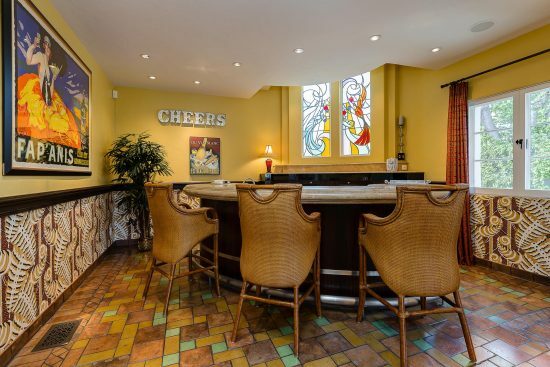 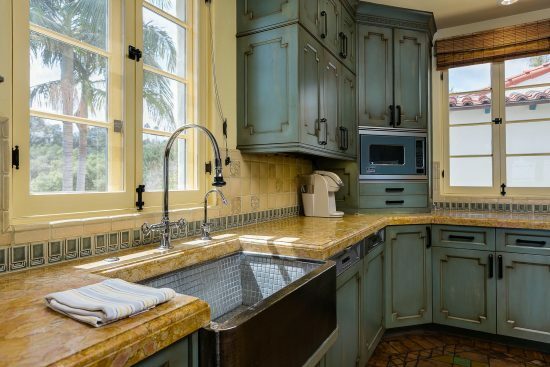 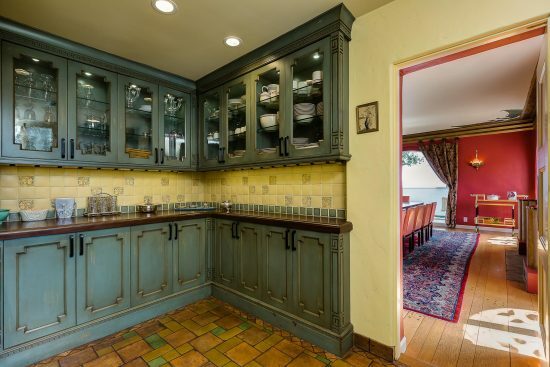 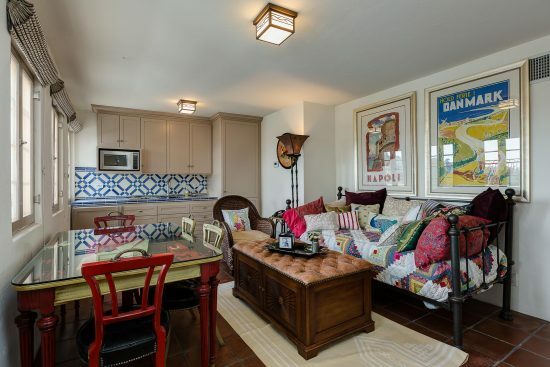 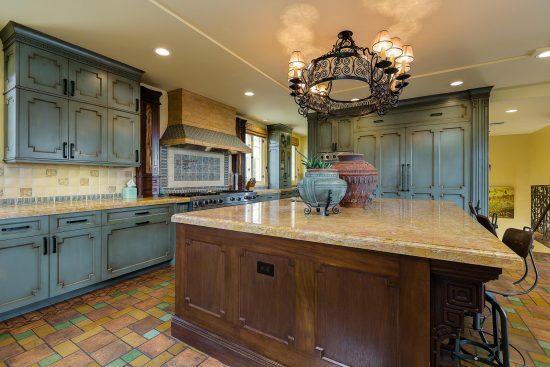 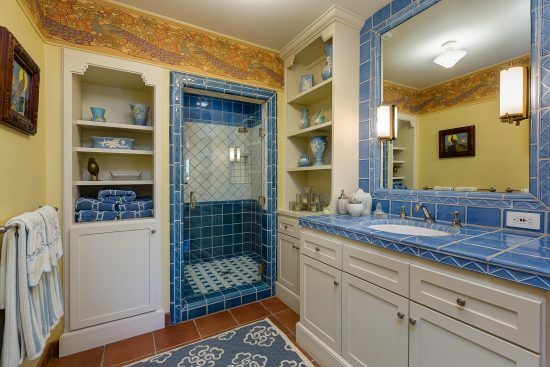 They have done extensive remodeling, including the expansive gourmet kitchen with custom cabinetry and reproduction Batchelder tile, completed in 2010. 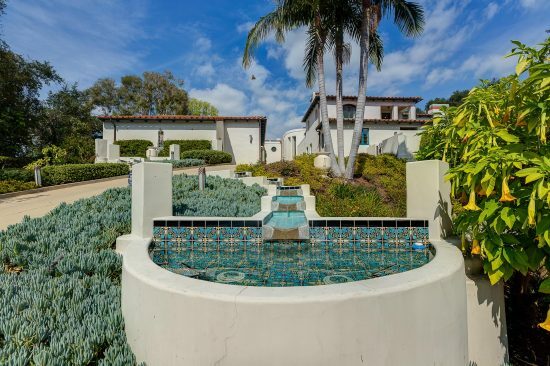 In 2017, they completely remodeled the fabulous infinity pool and spa by both expanding it, and fully tiling it with custom painted tiles. 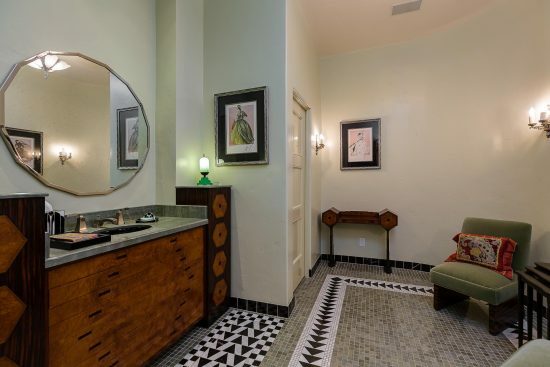 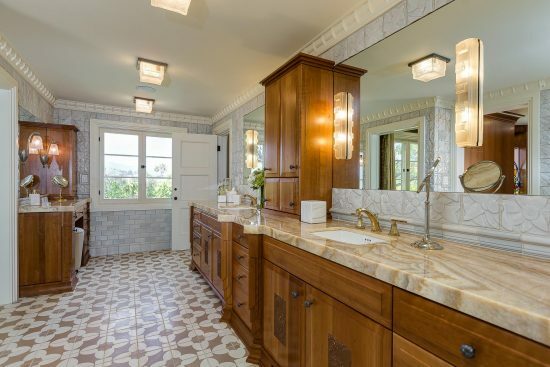 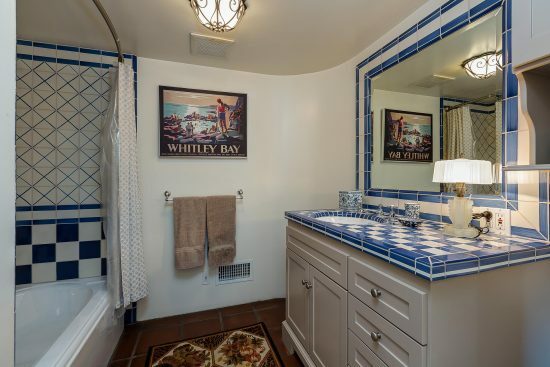 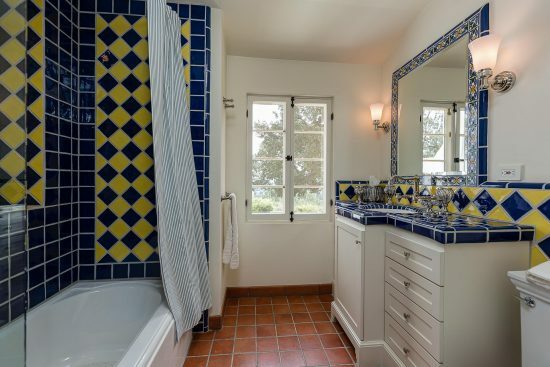 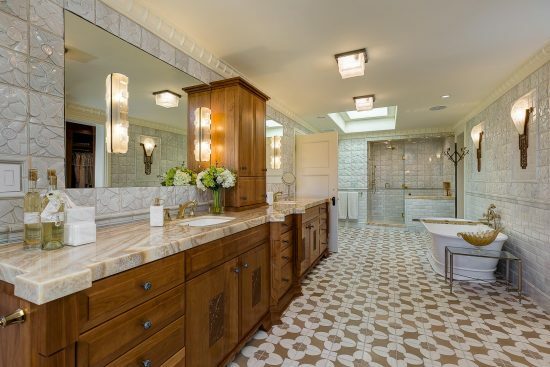 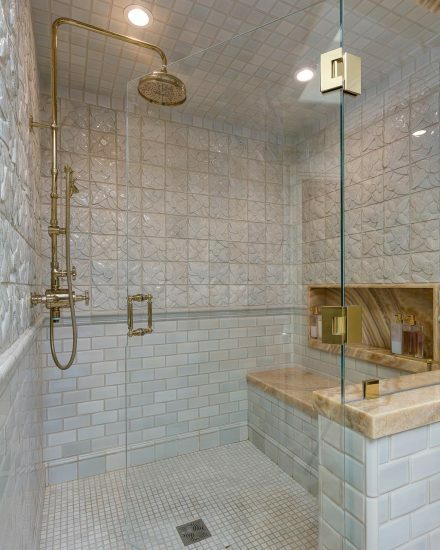 Additionally, just completed in 2018, the spectacular master bath/dressing area was reconfigured and finished with custom cherry wood cabinetry, decorative tile custom designed by Mission Tile, THG bath fixtures, onyx countertops, Edgar Berebi hardware and 1920’s French and Argentine light fixtures. 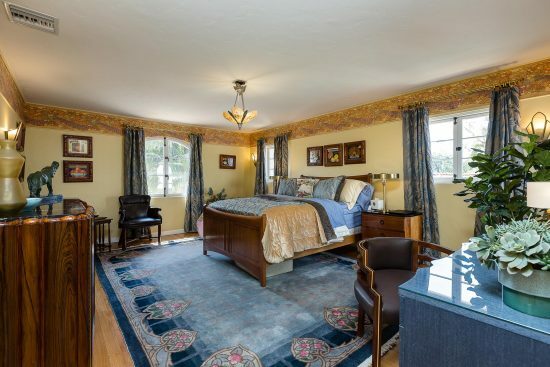 All five bedrooms are en suite, spacious, have tremendous closet space, and feature balconies. 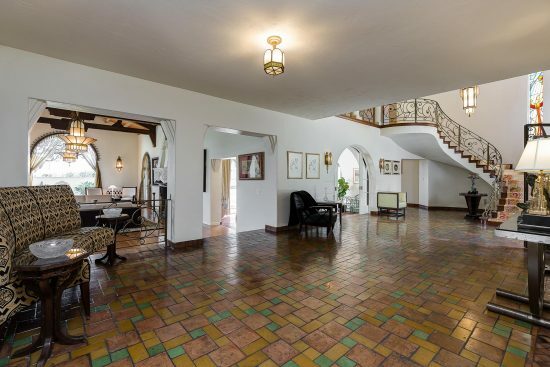 The floor plan is excellent and on three levels. 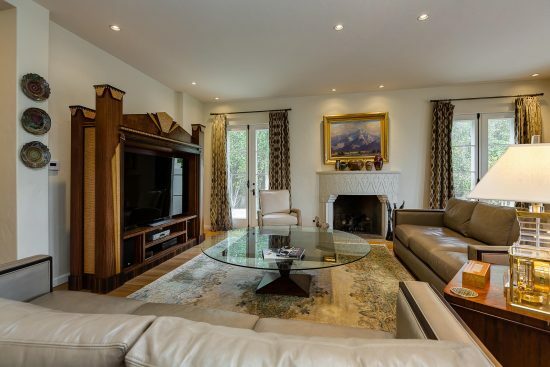 The large addition, done by the previous owner, was done seamlessly with careful planning and attention to detail, maintaining the beauty and integrity of the home. 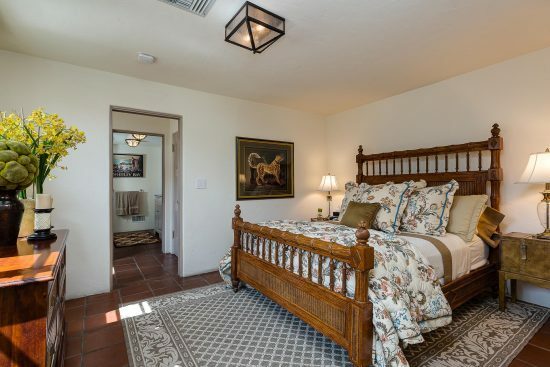 In addition to the four bedrooms in the main house, there is an attached one bedroom guest apartment with its own entrance. 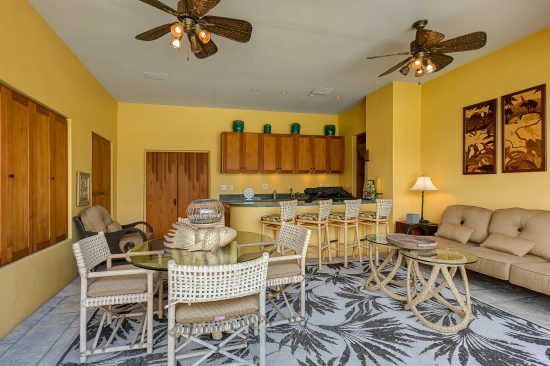 The property is meticulously landscaped and includes numerous outdoor water features, including fountains, koi pond, exquisite tiled infinity pool and spa, lanai, panoramic views and entertainment areas. 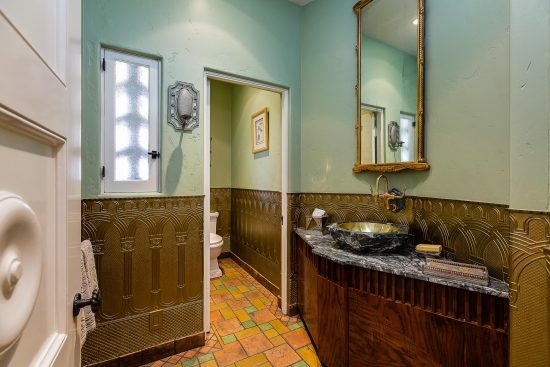 Too many amenities to describe! 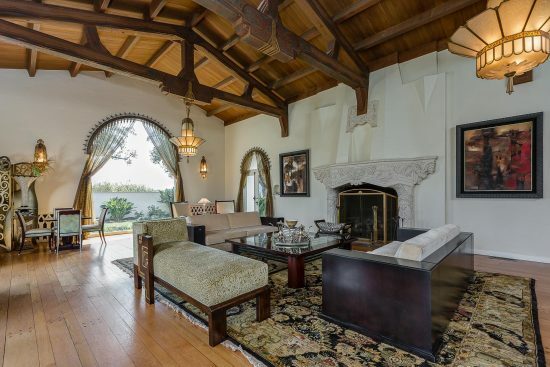 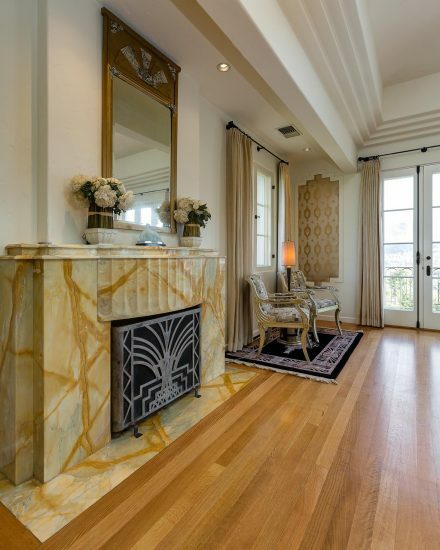 Old world charm reminiscent of Hollywood glamour. 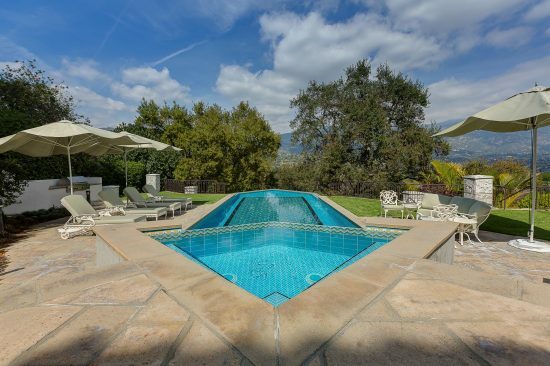 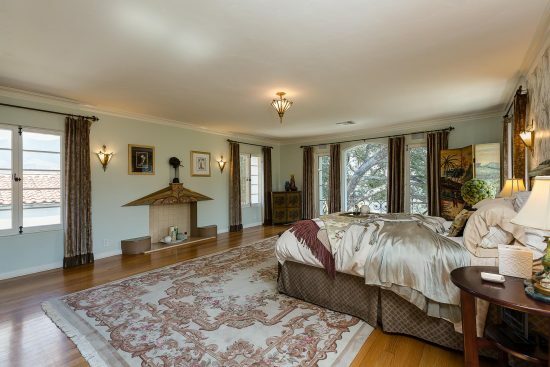 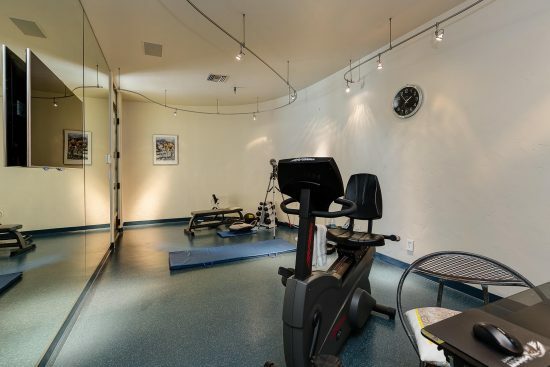 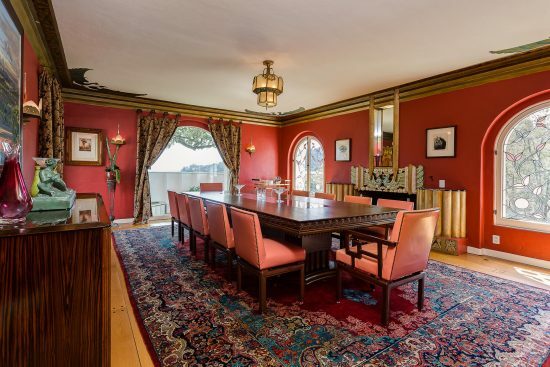 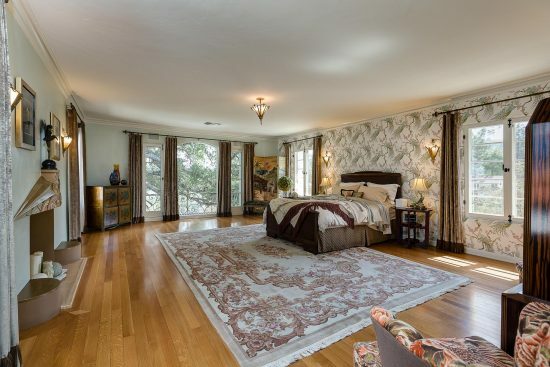 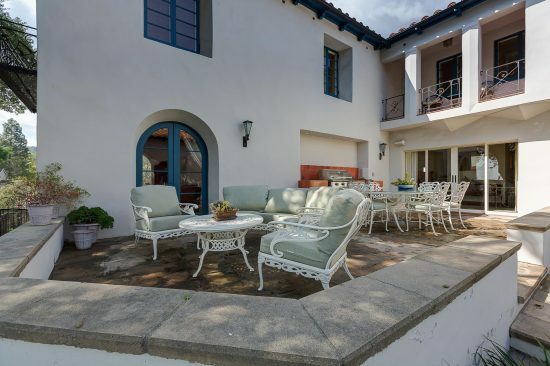 607 Foxwood Road is a residential property located in La Cañada Flintridge, CA. 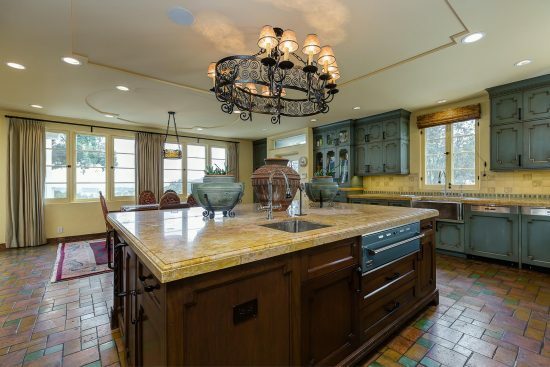 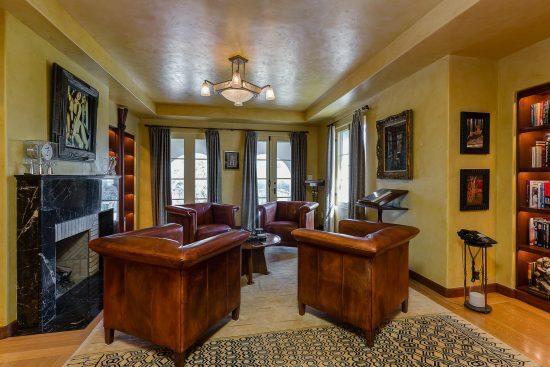 This property sits on a 51401 sqft lot, is 13097 sqft, with 5 bedrooms, 9 baths.